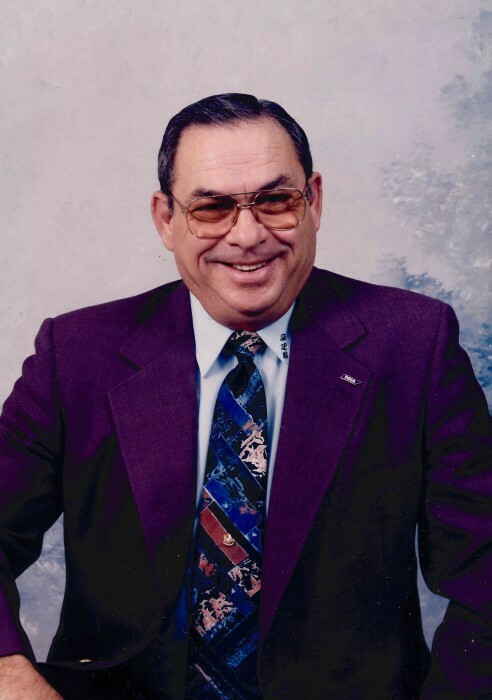 Jerry Lynn "Mulehead" Bargery, 77 of Newbern, Tennessee died on Monday, October 15, 2018, at his residence in Newbern, Tennessee. Born Saturday, December 21, 1940 in Ridgely, Tennessee, he was the son of the late Melvin E. Bargery and the late Martha S. Miller Bargery. He was a former employee of the Lake County Highway Department and served as an officer for the Ridgely Police Department and the Lake County Sheriff's Department. Mr. Bargery was a Master Mason with Masonic Lodge # 184 in Tiptonville, Tennessee and was a member of Fairview Baptist Church in Newbern, Tennessee. Funeral services for Mr. Bargery will be 11:00 AM on Wednesday, October 17, 2018 at the Newbern First Assembly of God Church. Officiating this service will be Rev. Ronnie Turner and Rev. Phillip Senn. Interment will follow in Dyer County Memorial Gardens. Visitation will be Tuesday from 5:00 PM until 8:00 PM at the Newbern First Assembly Of God Church. He is survived by his wife, Rachel Gant Mabry Bargery of Newbern, Tennessee; one son, Tim Bargery (Charlene) of Ridgely, Tennessee; three daughters, Molly Bargery of Hendersonville, Tennessee, Pam Mabry of Newbern, Tennessee and Cindy French (Scott) of Newbern, Tennessee; two brothers, Paul E. Bargery (Sheilah) of Tiptonville, Tennessee and Dallas Bargery (Mildred) of Ridgely, Tennessee; two sisters, Sandra Bargery Gant (Joe) of Tiptonville, Tennessee and Donna Bargery Osteen of Dyersburg, Tennessee; four grandchildren and nine great-grandchildren. In addition to his parents he was preceded in death by one brother, Jackie Dale Bargery and one sister, Martha Ann Bargery Brooks. Pallbearers will be Glen Bargery, Brian Bargery, Joel Bargery, David Bargery, Rob Bledsoe, Mark Roberson, Aaron Bargery and Greg Shell. Honorary pallbearers will be Alan Bargery, Doug Robertson, Johnny Miller, Danny Cobb, Rad Crenshaw and Lester Pride. Online condolences may be made to the family at johnsonwilliamsfuneralhome.com. Johnson-Williams Funeral Home is honored to serve the family of Jerry Lynn "Mulehead" Bargery.